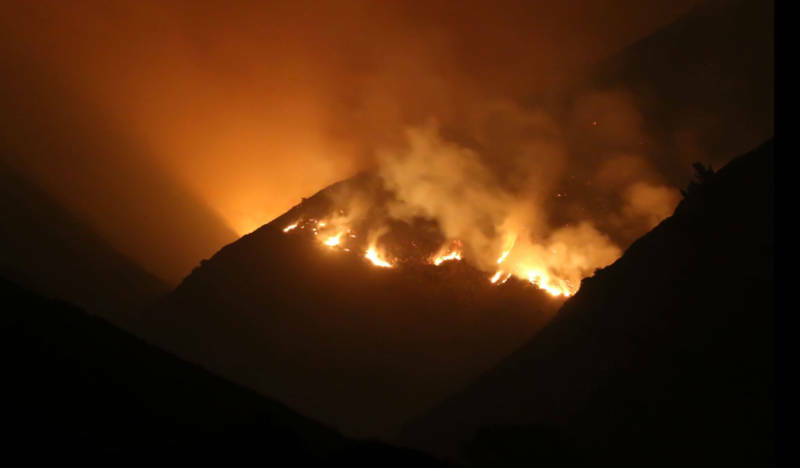 A new report slams the U.S. Forest Service response to a massive 2016 wildfire near Big Sur as "inappropriate, excessive and ineffective" and calls it emblematic of the agency's overall spending tactics. The report, assembled by the advocacy group Firefighters United for Safety, Ethics, and Ecology, closely examined how the agency fought the 2016 Soberanes Fire near Big Sur. It was the most expensive wildfire in U.S. history, costing $262 million to fight. The blaze was started by an illegal campfire in Garrapata State Park outside Carmel on July 22, 2016, and quickly spread, destroying 57 homes and killing a dozer operator in the first week. 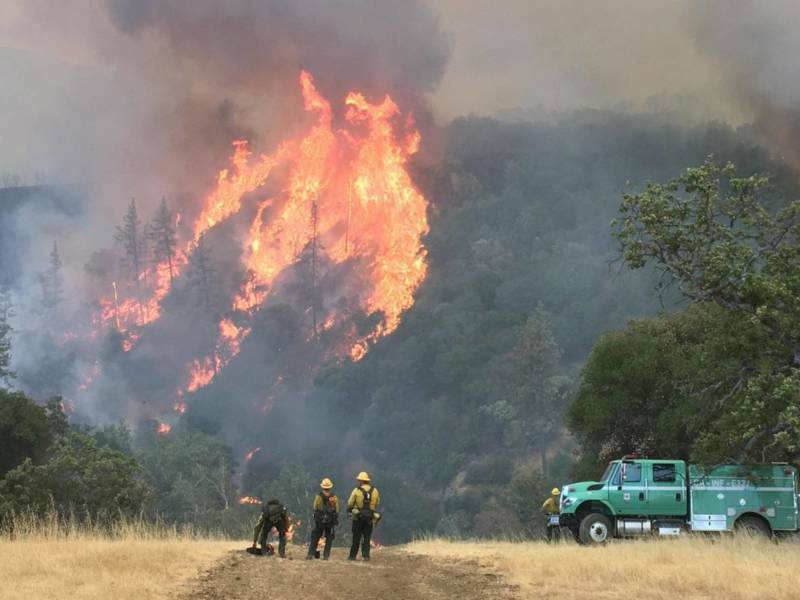 It then continued to burn for months in Los Padres National Forest and the Ventana Wilderness, away from any homes or residents. The report argues the aggressive firefighting tactics used in the remote, uninhabited areas were not only unnecessary, but they were also executed poorly. "It was conventional firefighting actions but conducted in or adjacent to ... very rugged remote uninhabited wildland," lead author Timothy Ingalsbee said. "The agency should shift its priorities from these backcountry firefighting boondoggles into really concentrating suppression resources on protecting homes and communities that cannot burn. Many of these backcountry wildlands must burn." Fire is part of the natural ecology of wildlands. It is necessary for the life cycle of certain trees, allows growth on the forest floor, reduces fuel for future fires and increases water supply, according to Cal Fire. And because of that, Ingalsbee says, it's excessive to spend so much money fighting fires that don't threaten buildings or human life. The FUSEE report also argues that the unnecessarily aggressive tactics used to fight the Soberanes Fire were ineffective. According to the report, firefighters dropped retardant away from flames and fire lines and built dozer lines outside areas where the fire had stopped spreading on its own. "These techniques failed to stop the spread of fire, cost taxpayers millions of dollars and left long-lasting scars on the land," Ingalsbee said. 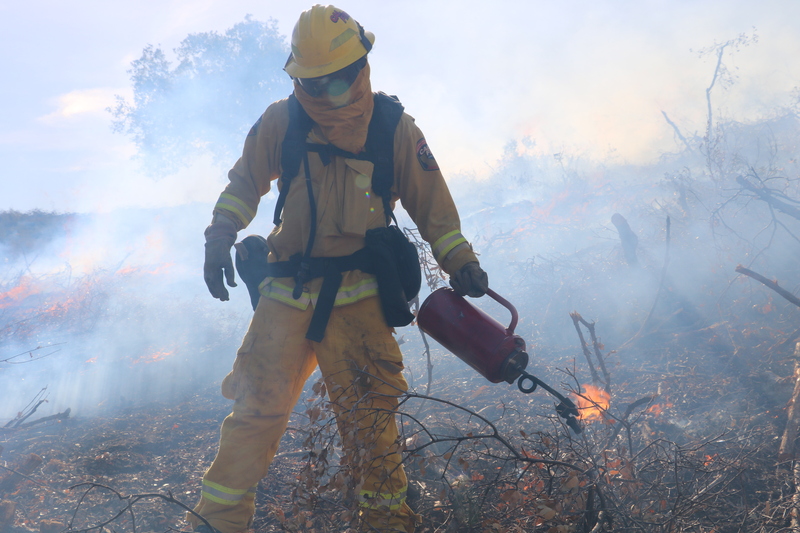 Fire retardant cannot stop fire spread on its own without the support of ground crews clearing vegetation on containment lines. During the Soberanes Fire, 110 miles of continuous lines of retardant were dropped in "looping patterns" in remote areas, some of which no firefighters were sent to due to safety concerns. Retardant was sometimes dropped several miles from active flames in places the wildfire never reached, or it was dropped outside of containment lines where firefighters could reasonably expect the fire would not spread to. The report also took issue with the 60 miles of dozer lines firefighters cut into the wilderness during the Soberanes firefight. According to the report, the dozer lines did help stop the fire spread in some instances but was ineffective in others. Some dozer lines were cut miles away from the fire's edge and existing fire lines dug by hand. "The dozer lines left lasting scenic impacts on the land, not only from denuding vegetation and damaging soils, but also introducing potential for the spread of invasive weeds and illegal use by off-road vehicles," the report said. The Forest Service spent roughly $1 million per day for weeks after the fire was contained to repair hiking trails and other areas damaged by dozer lines. Ingalsbee also says limited congressional oversight of the Forest Service's budget allowed the agency to use expensive tactics, like air tankers and dozers, even when they were ineffective. "It is kind of a blank check program," Ingalsbee said. "It's all framed under this state of emergency and put all fires out at all times, all places, at all costs. And that's simply not sustainable." For example, the department's review found that from Aug. 9 to Sept. 29, 2016, the number of threatened structures remained at 400 even as the fire grew by more than 90 square miles, which indicated the risk to property had abated as the flames burned into the wilderness. During that period, firefighting costs grew by $140 million.